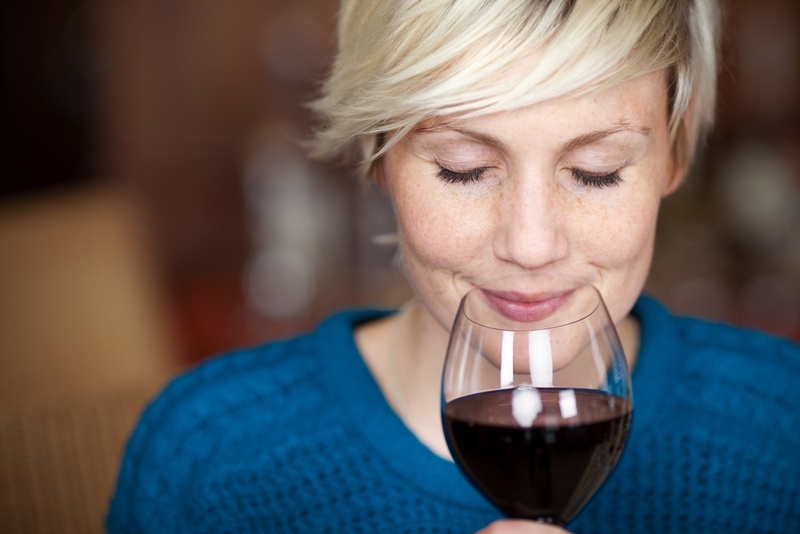 To wine or not to wine, that is the question for many migraine sufferers who believe there is a connection between drinking wine and developing an attack. While alcohol in general is considered a common trigger by some, research from the American Migraine Foundation appears to show the risk is overrated. The most common reason for a headache associated with wine consumption is drinking too much of it. This presents itself as a hangover that causes stress, which is an undisputed trigger of migraine attacks. All the same, some patients develop headaches after drinking just a single glass of wine, especially when red wine is made from dark-colored grapes. What is it About Wine That Triggers a Migraine? Certain wines are more likely to produce a reaction than others. Often, patients can drink spirits or beer without any effect, so it’s more than just the alcohol content in wine that causes migraines. The histamine content in wine is considered to be one of the main reasons it causes headaches. You also find histamines in aged cheeses, citrus fruits, smoked salmon and cured meats, among other trigger foods. Patients with an intolerance for histamines can develop symptoms that resemble an allergic reaction, including a headache. Taking a histamine blocker could reduce the adverse effects of this chemical in the wine. Various studies produced conflicting results on the type of wine that triggers migraines. A European study showed 11% of sufferers claimed red wine as the most common cause, while a French study found 54% of attacks were caused by white wine. Red wine contains up to 200 times the amount of histamine than white, which some patients aren’t able to metabolize easily. This causes an enzyme insufficiency that leads to a vascular syndrome that can trigger a headache. Tannins are also present in red wine. These are flavonoids that create the drying effect in the mouth when you sip it. Tannins are believed to enhance serotonin levels, which is a brain chemical associated with migraine in some people. You can test the effect of tannins on yourself by steeping a cup of black tea for a long time, then drinking it. This will flood your system with a higher dose of tannin than usual. If it leaves you migraine-free, then the tannins in your wine are not to blame for your headaches. Red wine contains tyramine, which is found in foods such as figs, chocolate, avocados and cheese as well. It consists of the chemical monoamine, and is broken down in the body by an enzyme called monoamine oxidase (MOA). Various anti-depressants contain MOA inhibitors, which prevents your system from metabolizing the tyramine properly. It’s wise to limit your consumption of products containing tyramine if you’re taking MOA-inhibiting drugs. You’ll often see the wording “contains sulfites” on wine bottles, which means the product contains a sulfur-based preservative to prevent oxidization and retain freshness. Sulfites are naturally-occurring chemical compounds that prevent microbial growth and reproduction, and winemakers often add extra sulfites to the wine to extend its shelf life. Sulfites are also found in foods, and are believed to trigger asthma attacks more than migraines. Red wine usually contains fewer sulfites than white or sweet wines do. If experience shows that sulfites could help to provoke an episode, stick to organic wines that usually have lower levels of sulfites. You can expect these to both taste differently and differ in cost as well. Stress: Drinking wine when you’re stressed or anxious could produce a headache, while a glass or two when you’re happy and relaxed is fine. Dehydration: All alcohol causes some level of dehydration, which is a known trigger for migraines. Sip a glass of water in between each glass of wine to keep dehydration at bay. Hunger: It’s an easy mistake to wait too long to eat when you’re having a couple of glasses with friends. This causes your blood glucose to dip and is also a common trigger for a migraine episode. Foods: Many social events include snacks that are on the list of foods to avoid, such as fried, fatty finger snacks, nuts, hot dogs and food containing MSG or food dyes. Eating just one of the “wrong” foods on top of the other factors could set off your migraine. Sun or bright lights: Drinking wine outdoors on a sunny day sounds wonderful, but in reality, it can be a headache waiting to happen. For migraineurs who are light-sensitive, too, a social event indoors under spotlights can also up the ante in favor of an attack. Noise: A vast majority of social events include loud music, and even if they don’t, a large number of people in attendance can generate quite a conversation buzz. Add that to your wine sensitivity and the combination could be painful. Most migraine sufferers have several known triggers. Whether wine is one of them or not you would be wise to limit your intake in combination with any of the other listed causes, at least until you know how you’re going to react. If you must drink wine, test your tolerance at home in private first. Keep a special wine tracker or make a specific entry in your migraine diary to identify other factors present when you drink wine. Make a note of everything you eat or drink in the days before enjoying your wine, which will give you a clear picture of all the circumstances surrounding your first attempt. If wine doesn’t work for you, follow the same process with each type of alcohol until you discover which is safe for you to enjoy. Wine lovers living with a migraine condition don’t have to cut themselves off from wine entirely. Your first rule to follow would be to limit the quantity of wine (or any alcohol) you imbibe. Second, avoid red wines unless they are organic and contain no added sulfites, if those prove to be a trigger for you. Sip water between glasses of wine, eat a healthy meal before you drink, and keep your sunglasses and earplugs close at hand. Take anti-histamines if this is an identified trigger for you, and be prepared to leave or find somewhere to lie down if you feel a headache coming on. If you discover you’re one of the unfortunate few who really can’t handle drinking wine, the only safe solution is to consume alcohol-free alternatives. Maintain your migraine diary at all times to allow you to see the patterns that emerge surrounding your headache attacks, and practice caution with wine drinking until you know what you can handle comfortably.